A small town girl trying to make it in the big city! A sitcom detailing the travails of a hapless, would-be Broadway chanteuse. Viola’s a small town girl in the big city trying to make her show biz dreams come true. She’s got a lot of what it takes to make it – a positive attitude, a never-say-die spirit, a supportive sister, a good-hearted boyfriend and a dogged, if eccentric, manager. The only thing she hasn’t got? Talent! “Viola’s Pied Pipes”: Viola thinks she’s landed her first star turn at a low-rent downtown theater with a bit of a pest problem! “Sing, Hummingbird, Sing!”: Viola gets a brand new gig as a promotional model at a big department store – if only she can keep her mouth shut! 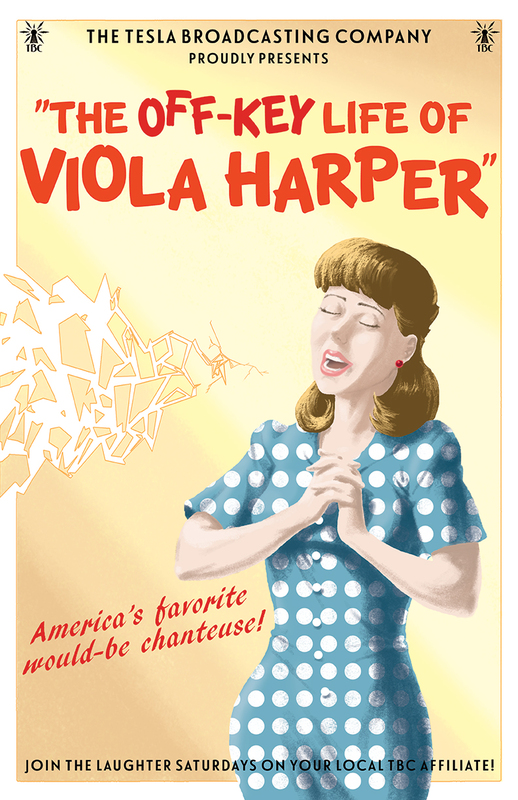 “Viola’s Hay Fever Follies”: A new gig for Viola but – oh no! – she’s got hay fever! Which makes her sound better?! “Speak of the DeBell”: Viola has just gotten the lead in a cabaret revue! No, really! And just guess who’s producing this show…Joan DeBell! Uh-oh.